B and C Vinyl, Inc. Comment: We had some storm damage from the big storm on this past Friday. We need some gutters replaced and or repaired if possible. There are several areas in need of repair. Comment: Front gutter partially blown over (bent and pulled away from eave) and is now hanging in the front of the house. Downspout appears intact and we wonder if it could be salvaged. Although this is not an emergency, we would like to get it resolved as soon as possible. Comment: Front gutter was partially blown down in the wind. It needs to be repaired or replaced. Jacksonville Gutter Cleaning & Repair Services are rated 4.78 out of 5 based on 948 reviews of 25 pros. 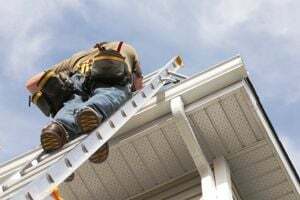 Not Looking for Gutters Contractors in Jacksonville, FL?